We all know the routine of going to the doctor, getting weighed and then getting our height measured to use as a comparison to this chart we are all familiar with called the BMI scale. This BMI scale, or body mass index is a tool which shows the person’s height versus their weight, and how being in certain ranges on this chart means that you are more likely to get a certain type of disease related to obesity. There are some major problems with the BMI scale, especially when it comes to men. The BMI scale leaves out one major consideration, that some of this weight may be muscle mass, and not fat and hence doesn’t put the patient in question at risk like the chart indicates that it does. For example, many athletes especially those who have body shapes similar to an NFL running back will score as obese on these BMI scales, when in reality they have a healthy body fat percentage. A new study published by the Annals of Internal Medicine found that waist to hip ratio was a better indicator of whether or not someone would die from risks related to being overweight or obese. Researchers conducted a study in Scotland over the period of 10 years which found that people with normal BMIs but that had extra weight around their bellies were upwards of 22% more likely to die from all factors related to being overweight or obese. This was in comparison to people who had normal BMIs and lower hip to waist ratios. The study also showed that obese people who had lower waist to hip ratios were less likely to die than people who had normal BMIs and higher hip to waist ratios indicating a possible link between the two. All in all, the research showed that increased belly fat increased the risk of premature death, especially when it comes to cardiovascular disease and heart attacks. When it comes to being obese and the health effects that are the result of being obese, more and more research is pointing to stomach fat as the main contributor when it comes to major illnesses and potentially and early death. A study conducted at the Leeds Beckett University in the United Kingdom showed that the ratio of the waist to height was a better indicator of a person’s overall health than the BMI scale itself. This method involved whole body fat percentage and visceral adipose tissue mass or the fat that is stored around the internal organs, which are the causes of things like heart disease and fat related cancers. 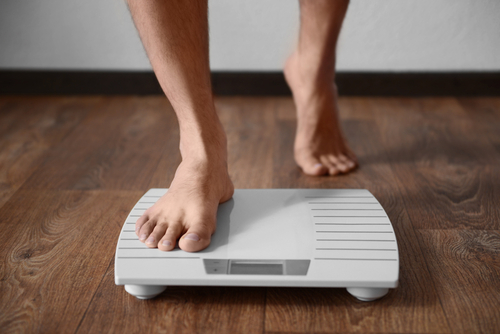 When using the height to waist ratio versus the BMI scale, researchers noted of the staggering difference in the amount of adults that would be considered obese under this method as opposed to the BMI scale. Under the waist to height ratio, about 37% of more adults would be considered to be obese then there are currently. So What Are These Studies Telling Us? It is too early to completely dismiss the BMI scale as a reliable tool but the research definitely points towards the stomach or midsection as the most important indicator when it comes to a person’s overall health considering their weight. If you are concerned about your overall health especially your weight, you are better off worrying about going down in pant size than the number that comes up on the weight scale itself. These methods are not the tell all be all, but are good tools to use to give yourself a general idea if you are too fat, and how much you need to lose. There are other methods out there as well when it comes to testing your overall fat, such as hydrostatic body fat testing. This test is done underwater, where the true ratio of muscle to fat can be determined. The idea behind this method is that body fat floats and your buoyancy will tell you how much of your weight is actually fat versus muscle, bone and organ weight. This is better than your typical scale or BMI measurement which can tell your weight and estimate your body fat at best based on your height and weight.